Events - north end votes! 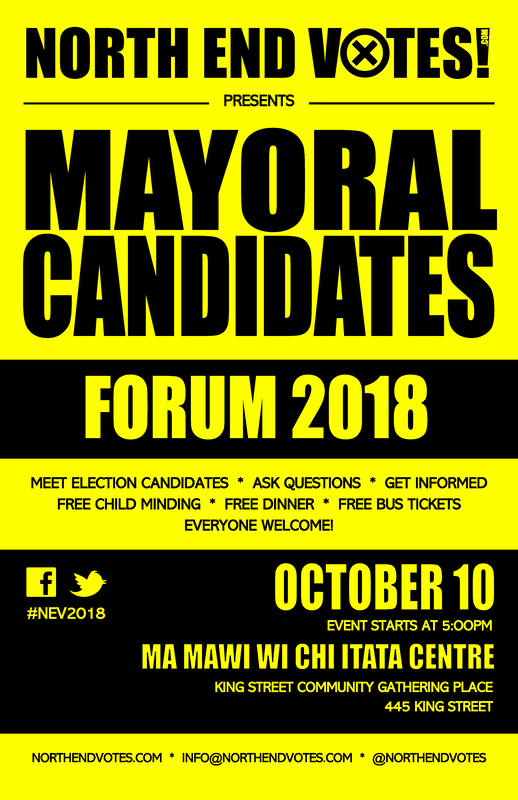 On Wednesday, October 10, 2018, North End Votes will host a MAYORAL CANDIDATES FORUM at Ma Mawi Wi Chi Itata Centre King Street Community Gathering Place (445 King Street). ​Event will include fun & interactive opportunities to engage with the candidates, ask questions & get informed. Free dinner, childminding & bus tickets are available! If you are interested in volunteering, please click the link below to contact us!